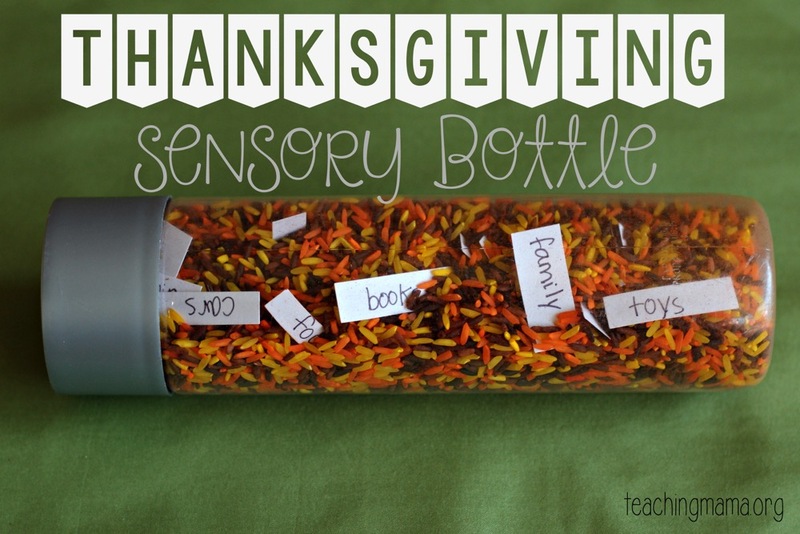 Here is an easy idea for making a Thanksgiving sensory bottle. 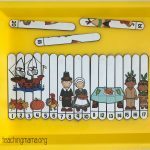 This idea is a fun way for children to talk about what they are thankful for. 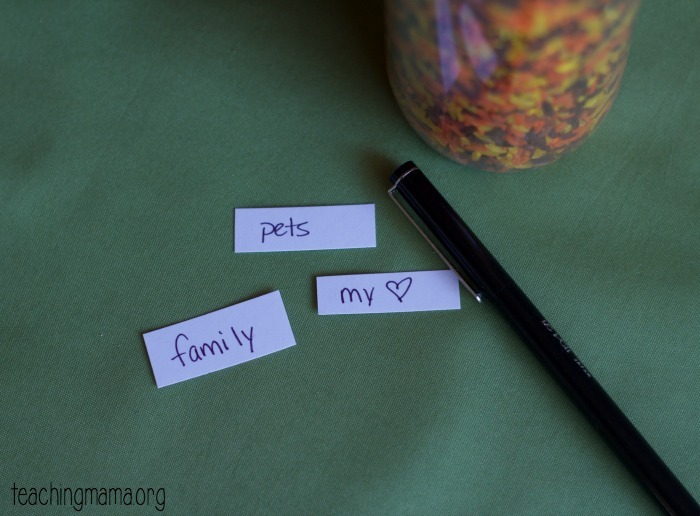 For this activity, children will write down what they are thankful for on pieces of paper. 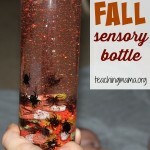 Then they will add it to a sensory bottle with colored rice. 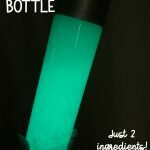 When you shake the bottle you’ll see the different pieces of paper appear. 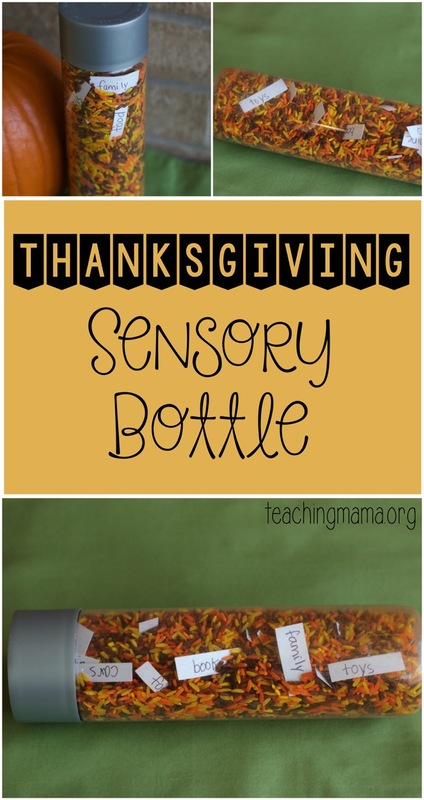 This bottle is great for children who know how to read, but can also be used with younger children. 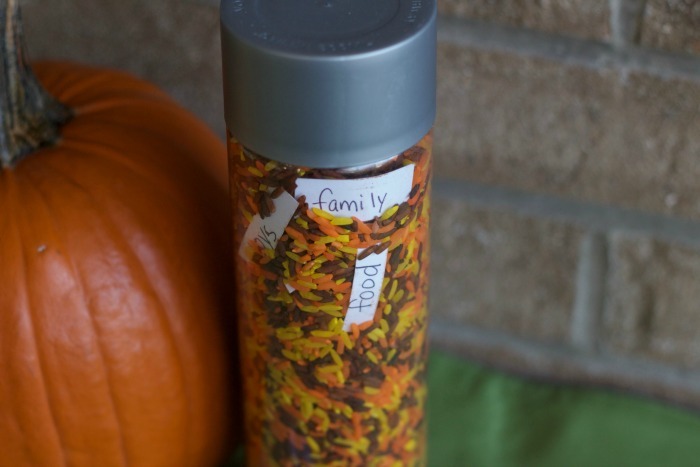 After writing down 10-20 things your child is thankful for, add them to the empty water bottle. Start with putting a couple pieces of paper into the bottle, then add a little rice. Add a couple more pieces of paper and a little more rice. 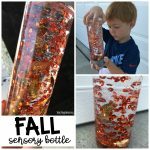 Continue this pattern until the bottle is almost full. (Leave 1 inch of empty space.) Then glue the lid on top. 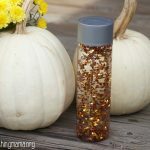 This is a very simple bottle. 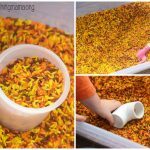 It is fun to shake the rice around and try to find the words. One thing I recommend is writing the words on both sides of the paper, in case they get flipped around.